[JURIST] The State Council of the Republic of Crimea [official website, partially in Russian] on Friday voted unanimously in favor of adopting a new constitution that will make Crimea part of the Russian Federation. The constitution, consisting of 10 chapters and 95 articles, defines Crimea as a legal and democratic state within the Russian Federation and makes the nation’s territory an inseparable part of Russia. Two branches of government were created: a legislative branch headed by the State Council, and an executive branch headed by the Minister’s Council. The top executive official is to be elected every five years by the State Council, and limits said executive’s time in office to two terms. The new constitution also states that the Crimean legislature will be able to pass local laws and submit bills to the Russian State Duma [official website, in Russian]. Members of the Muslim Tatar [BBC backgrounder] minority, who make up approximately 15 percent of Crimea’s population, have shown strong opposition to Russia’s takeover. Unhappy with their lack of inclusion in the drafting process, the Muslim Tatars claim that the constitution was hastily written and unacceptable. The ongoing conflict [BBC timeline] in Ukraine has created great political unrest since protests began in November. 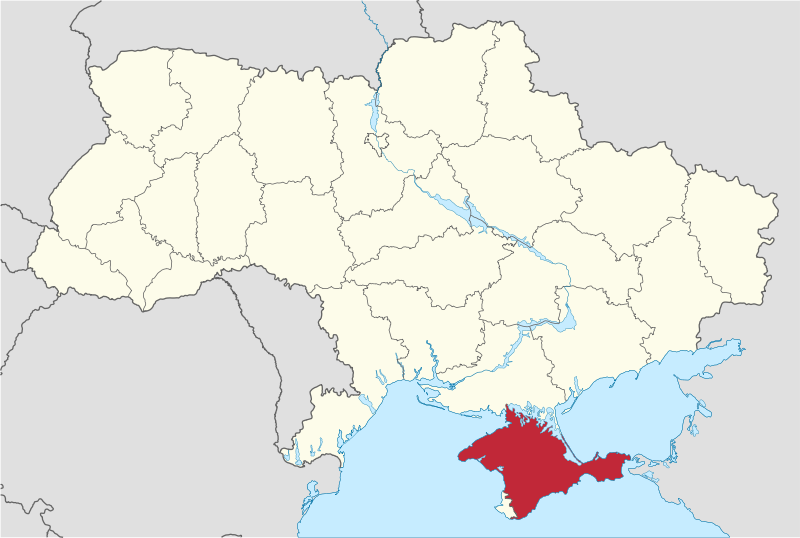 Last month the Russian State Duma voted nearly unanimously [JURIST report] to approve Russia’s annexation of Crimea despite threats of further sanctions from Western powers. Also last month President Vladimir Putin signed a treaty [JURIST report] that incorporates Crimea into the Russian Federation, and US President Barack Obama condemned [JURIST report] Russia’s military intervention in the region as a violation of international law. In February Ukraine’s interim government requested an international arrest warrant [JURIST report] for ousted former president Viktor Yanukovich, implicating him in the “mass murder” of civilians during protests in Kiev.